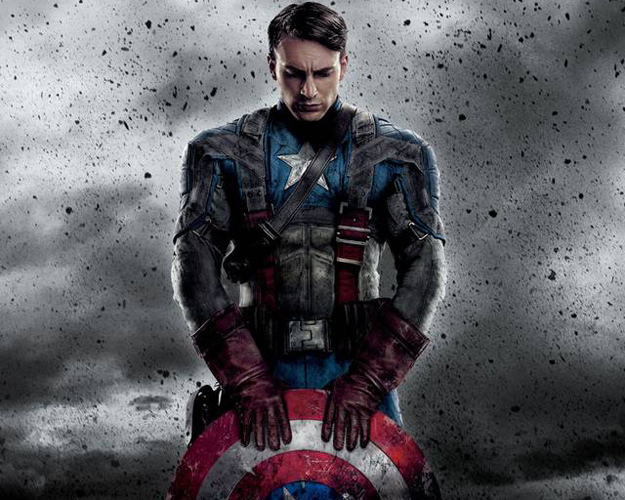 Captain America is returning to center stage in the third film that will focus on him. We have been hearing a lot of news about this movie as production is under way. The biggest news was that Robert Downey Jr (Tony Stark/Iron Man) is joining the series after stating he didn’t want to do a solo Iron Man movie anymore. Marvel finally announced the full cast of the movie and we can not be any happier. There are a lot of familiar faces (besides Evans and Downey Jr.) that are coming back to the franchise, including Elizabeth Olsen (Scarlet Witch), Scarlett Johansson (BlackWidow), Jeremy Renner (Hawkeye), Emily VanCamp (Sharon Carter), Sebastian Stan (Winter Soldier), Anthony Mackie (The Falcon), and Frank Grillo (Brock Rumlow). But it’s the new faces that are going to draw those fans that are hesitant. Chad Boseman (42) join the cast as Black Panther, Freeman (The Lord of the Rings series) is going to play , William Hurt (TV’s Humans) will be playing General Thaddeus “Thunderbolt” Ross, and Paul Rudd is joining the cast after he introduces his character Ant-Man this August. Rumors were that Spider-man is going to make an appearance in this movie so whoever gets cast as Peter Parker will likely be in the movie as well. A few weeks ago, rumors circulated that it was going to be Asa Butterfield, but nothing has been confirmed. The plot for the film was released last Fall during Marvel’s launch of Phase 3 in the cinematic universe. You can read it below. If you’ve seen Age of Ultron, you’ve seen the beginning of the tension between Steve Rogers and Tony Stark. If you didn’t notice, the ending certainly made sure that fans knew that something was brewing in the water. The Captain America series has been very lucrative for Marvel hitting triple digits for both movies. The First Avenger brought in $176.6 million and Winter Soldier took in $259.7 million domestically. Both of these movies are fan favorites getting a 79% approval rating and an 89% approval rating on Rotten Tomatoes, which is in the top five for ratings for a Marvel movie. These movies helped set up The Avengers series. The first movie took in $623.3 million domestically and Age of Ultron has currently brought in $217.6 million domestically. You can currently see the Cap in The Avengers Age of Ultron in theaters now. What do you think of the cast of the movie? This entry was posted in Movies and tagged Age of Ultron, Captain America, Captain America Civil War, Captain America: The First Avenger, Captain America: Winter Soldier, Marvel, Robert Downey Jr, Scarlett Johansson, The Avengers.